Collection contains [Sebasco Lodge 1930s] promotional footage of summer activities at a resort near the mouth of the New Meadows River, fifteen miles outside Bath, Maine. Golf, tennis, boating, views of the lodge facilities, summer and harbor scenery are the focus of the film. Reel also contains amateur footage with a series of shots showing people moving an unfinished boat through a field to the shore for launching. The remaining amateur footage was taken in Bermuda and shows boating and recreation. 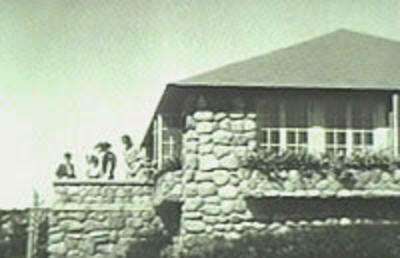 John Bradford and his family owned the Lodge, now called Sebasco Harbor Resort, which still operates as a hotel and golf course. Many of the buildings depicted in this footage continue in use.